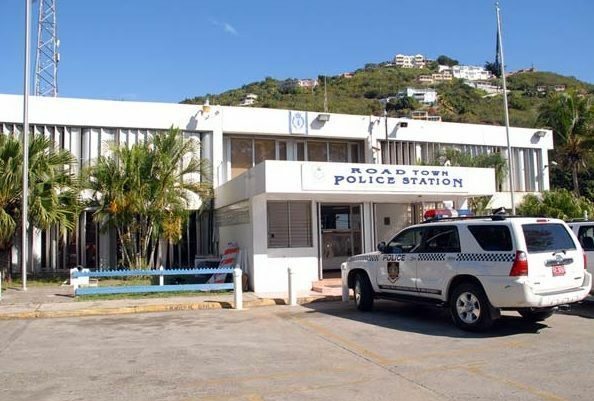 ROAD TOWN, Tortola VI- Word reaching our news room from our Team of Reporters is that a bar owner was robbed of cash by an armed individual in Johnson’s Ghut on the main island of Tortola on Saturday evening, July 30, 2016. The bar owner is said to be a Mr Raynard Ham, and the money taken was the victim's personal cash and not proceedings from the bar. The robbery incident was confirmed by Police Information Officer, Diane Drayton, who also issued a press release on the incident. According to the police press release issued today, August 1, 2016, a bar owner reported being robbed outside his business premises in Johnsons Ghut. Police say the perpetrator is described as dark, slim built, about 150 pounds and approximately 5’5. He was wearing dark clothing at the time of the incident. some of the bad animal come here on vacation too .and after done crime .they get out of here fast. Start asking these young people where dis the money come from to build mansions and buy expensive cars. well its sad to say that it is what it is, but i must say a lot of blame has to go towards the seniors in this country, they are the ones who breed and mold these sets of criminals, by undermining and encouraging them to disrespect d police, by supporting them with their criminal activities, am soon retired and will be heading home, now, who has to live here?, you the local people and your children and grands, so, you rip what you sew, how you make your bed, thats how you lay down. By your comment really instills why we need more local cops. Many of u expat police cm here with no proper bkground and its just for the US Dollar. You here talking bout you about to retire and go home. Go from now. You talking but fail to talk about you all seedling you leave behind. No place is perfect but you all cm here mk ur money, sew bad seeds n then call dwn our BVI as if where u run from is better. A lot of police have plenty to do with crime in the BVI. A set of crooks.